A brilliant woman once said to me "repetition is ritual, and ritual is repetition." And I've been thinking about that non-stop. 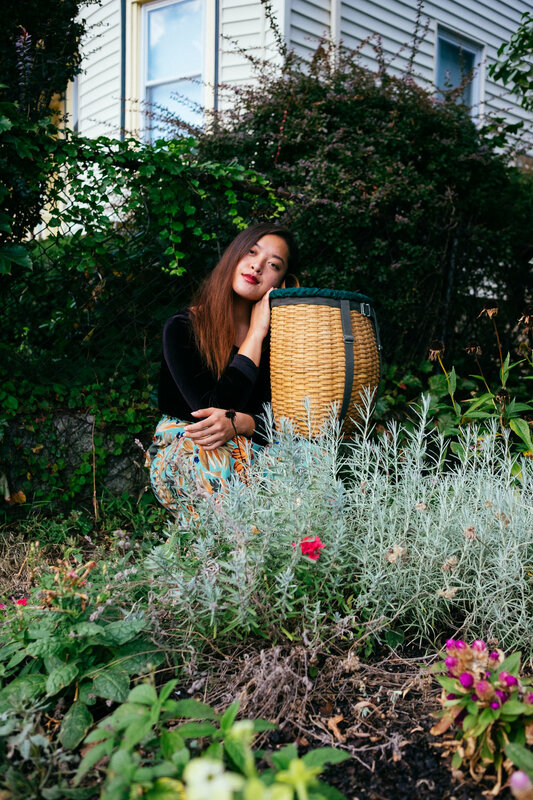 So when Ellie Nguyen, this week's #WCW, started talking about her creative rituals, I was immediately hooked. For the last few days, her words have echoed throughout my daily doings: "I find that I am able to give so much more to my day when I start by pouring into myself." It's these simple, impactful truths that make Ellie such an inspiring interview, and guarantee that her words will be the best thing you read all day. EN: To begin, I would like to say thank you for this opportunity! My mission aligns beautifully with the work that BWM does so I am grateful to have this platform to share. I am many things and they all stem from being a lover. Almost everything that I engage in is rooted in love- for myself, other people and the world that we inhabit. My work mainly involves using photography and videography to challenge current narratives about people in marginalized communities and creating spaces so they can explore / express their multidimensional selves. These spaces expand to workshops that I facilitate, providing resources and tools for women to achieve mind-body-spirit wellness. I used to feel like my creative work and holistic health programming were two separate worlds however, I see how connected they are especially since both are offered as forms of healing. Additionally, I recently started a podcast titled “Sunflower Soul” where I discuss with people in various communities and professions about their spirituality. The goals of the podcast are to make spiritual practices more accessible and to encourage listeners to honor who they are, as they are. I love the meme that says something like: “read a book and twerk. be spiritual and a freak.” People should be allowed to embrace every aspect of themselves without crippling anxiety that makes them feel like they are doing something ‘wrong’. Is there really a wrong way to be yourself? BWM: In stalking your IG, I love the way you use words and pictures to tell stories.. What kind of stories do you aim to tell, about yourself or about others? EN: I believe every person has a unique story to share so I aim to co-create with people to show them as authentically as possible. I would say that they are stories of light. I think I gravitate towards women + people of color because as groups of people who have been historically oppressed, they have had to face much adversity and still are so resilient. Some may not even recognize their own strength or divinity because media (or lack thereof) tells them that they are not important and their voices don’t matter. Through storytelling and self-love / self-actualization, people have the power to decide what their lives look like and share the truth about who they really are. Even with photos I take when I travel (opposed to portraiture), I notice I tend to capture simple moments of love. A reminder that in times of darkness, no matter which corner of the world you are in… there is always light. EN: I genuinely and truly love every womxn that I meet or who’s work I come across. If you are reading this, I support you and what you’re doing is so important!! To answer the question, my sister and friend Destiny Polk immediately comes to mind. Des is the founder of Radical Black Girl, an art-activism platform that is deeply committed to the liberation of Black people. She is fearless and unapologetic about everything that she does. She is also very vulnerable and raw in sharing her experiences. By being herself, she inspires others to be courageous and walk their own path. Des and I collaborated on a short film titled ‘Black Butterfly’ and she was able to bring out the best in me, creatively and personally. It’s quite rare that you will leave an RGB event without feeling transformed in some way. BWM: What one piece of advice would you share with fellow creative womxn? EN: It’s okay to be selfish. It’s okay to put yourself and your needs first. I really wish understood what this meant for me this sooner. As womxn, we are given nurturing roles and sometimes that means devoting time and energy into other people’s ideas, various relationships and tasks before ourselves. Self-care is one of the most important pillars of the workshops that I provide because we are literally brought up to believe that “selfish” is the worst thing a womxn can be. As a creative, so many ideas can end up on the back burner if you wait until everything is clean, every relationship is fulfilled, every obligation is met, etc. Of course balance is key but it’s okay to be selfish with your time if you need to be. There are always going to be external things demanding your energy so it’s a matter of putting yourself first and knowing that you’re worth it. People should be allowed to embrace every aspect of themselves without crippling anxiety that makes them feel like they are doing something ‘wrong’. Is there really a wrong way to be yourself? BWM: Do you have creative habits or rituals within your work that help you stay focused and happy? EN: What a great question! My rituals are: daily meditation followed by journaling and yoga. I am currently on day 62 of a 90-day yoga challenge and it has allowed me to be more disciplined with my creative pursuits. I see the importance of planting daily seeds and really doing the work. It takes a tremendous amount of commitment to achieve your goals but I also understand that I have to be patient. Day by day I am doing something that brings me closer to where I want to be. I don’t have to stress out about missing a few days and I can allow myself to rest because I know I’m building a solid foundation. Even though those aren’t directly creative habits, I think it’s incredibly helpful to set aside time to be present with yourself or something Higher. Whether it’s through meditation, yoga, journaling, dancing, cooking, being out in nature or whatever it is that fills YOU up- I find that I am able to give so much more to my day when I start by pouring into myself.